Thank Jetstar Airways it’s Friday! 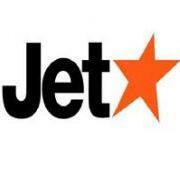 For great air fares out of Singapore visit the Jetstar Airways website for the “Thank Jetstar it’s Friday!” promotion. This weekly one-day sale happens every Friday from 11am – 6pm Singapore time. Recent one-way deals include Ho Chi Minh City for SGD38 (USD30), Phnom Penh for SGD58 (USD57), Manila for SGD68 (USD55), and Hong Kong for SGD98 (USD80). 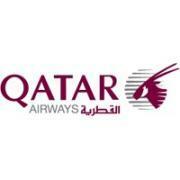 Buy a long-haul flight from Singapore to any of Qatar Airways’ destinations and receive a free ticket to Bali. Customers only need to pay taxes and surcharges of SGD142 (USD115) for the free roundtrip flight from Singapore to Bali. To take advantage of this promotion book your flight and begin travel before August 31, 2011. The free ticket to Bali is valid for 3 months after the long-haul flight. Roundtrip fares to exotic countries across Southeast Asia start at just SGD220 (USD177) during SilkAir’s “Seasonal Sale”. Promotional fares from Singapore include Kuala Lumpur for SGD220 (USD177), Siam Reap for SGD320 (USD258), Cebu for SGD328 (USD264), and Kunming for SGD607 (USD489). The travel period varies by destination and bookings must be made before September 30, 2011. Starting July 1, 2011, Singapore Airlines will fly the Airbus A380 superjumbo airplane on the Singapore – Tokyo – Los Angeles route. This aircraft is largest, quietest, and most comfortable in the world and is noted for its first class private suites. This route will be flown once daily in each direction. Round-trip fares in economy class start from SGD2,700 (USD2,188). Enjoy special fares from Singapore to exciting cities across Asia with Thai Airways’ “Special Network Fares” promotion. Roundtrip economy fares including taxes are SGD468 (USD379) to Yangon, SGD488 (USD395) to Hanoi or Ho Chi Minh City, SGD578 (USD465) to Taipei, and SGD728 (USD585) to Kathmandu. Bookings must be made by August 14 for travel from now until September 15, 2011. Beginning May 30, 2011, Finnair will offer direct flights between Singapore and Helsinki, the capital city of Finland. There will be one flight every day and the flight time is approximately 12 hours. From Helsinki travelers can easily connect to other destinations across Europe. 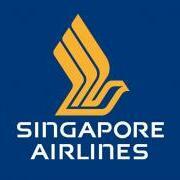 Round-trip economy fares start from SGD1,620 (USD1,312) including all taxes and airline surcharges. SilkAir is offering special fares from Singapore to cities across Southeast Asia. Roundtrip fares range from SGD220 (USD175) to Kuching or Langkawi, Malaysia to SGD829 (USD665) to Kathmandu, Nepal. Other destinations include Vietnam, Cambodia, Indonesia, Thailand, Myanmar, India, and China. The “Seasonal Sale” is available for bookings until September 30, 2011. Qatar Airways is celebrating its 100th destination with a 2-for-1 sale on all economy class flights. This promotion is only available for bookings made online on April 13 and 14, 2011. Destinations from Singapore include Bali, Dubai, Frankfurt, New York, and more with fares as low as SGD477 (USD379) for two people. This promotion is valid for travel from May 1 – June 14, 2011.